Barcelona is the capital city of the autonomous community of Catalonia in Spain and Spain’s second most populated city, with a population of 1.6 million within its administrative limits. Its urban area extends beyond the administrative city limits with a population of around 4.7 million people, being the seventh-most populous urban area in the European Union after Paris, London, Madrid, the Ruhr area, Berlin and Milan. It is the largest metropolis on the Mediterranean Sea, located on the coast between the mouths of the rivers Llobregat and Besòs, and bounded to the west by the Serra de Collserola mountain range, the tallest peak of which is 512 metres (1,680 ft) high. 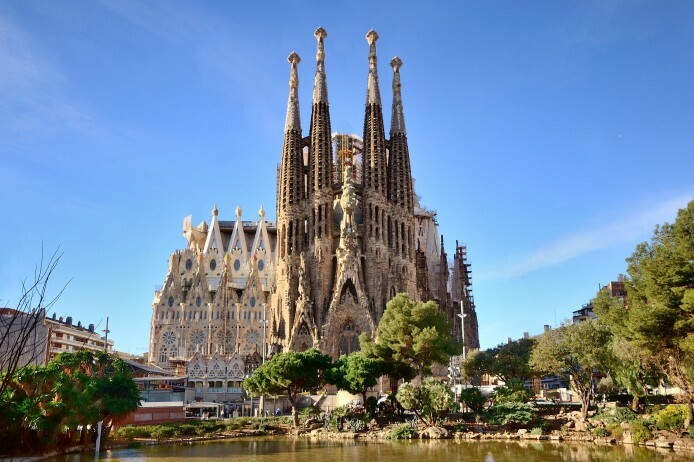 Barcelona is one of the world’s leading tourist, economic, trade fair and cultural centers, and its influence in commerce, education, entertainment, media, fashion, science, and the arts all contribute to its status as one of the world’s major global cities. It is a major cultural and economic center in southwestern Europe, 24th in the world (before Zürich, after Frankfurt) and a financial center. In 2008 it was the fourth most economically powerful city by GDP in the European Union and 35th in the world with GDP amounting to €177 billion. In 2012 Barcelona had a GDP of $170 billion; it is leading Spain in both employment rate and GDP per capita change. In 2009 the city was ranked Europe’s third and one of the world’s most successful as a city brand. In the same year the city was ranked Europe’s fourth best city for business and fastest improving European city, with growth improved by 17% per year, but it has since been in a full recession with declines in both employment and GDP per capita, with some recent signs of the beginning of an economic recovery. Since 2011 Barcelona is a leading smart city in Europe. Barcelona is a transport hub with the Port of Barcelona being one of Europe’s principal seaports and busiest European passenger port, an international airport, Barcelona–El Prat Airport, which handles above 35 million passengers per year, an extensive motorway network and a high-speed rail line with a link to France and the rest of Europe. Arranging a private jet charter to and from Barcelona (LEBL /BCN) is straightforward. Barcelona lies approximately 17 kilometres from the city centre and takes around 25-30 minutes by car, subject to traffic. A private jet charter from London to Barcelona will take approximately 2 hours in a 6 seat Cessna Citation CJ2 jet, and 1hour 50 minutes in a 8 seat Cessna Citation XLS jet. Arranging a private jet charter or helicopter transfer with Freedom Air to arrive in style to Barcelona is simple. The Freedom Air team can be reached on +44 (0) 1275 548001 to book your next trip.